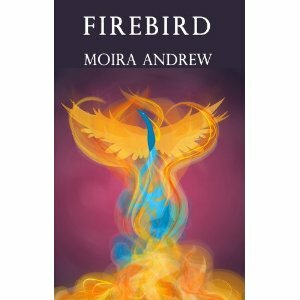 Poetry Review: Moira Andrew's "Firebird"
Home » books » mourning » poetry » review » Poetry Review: Moira Andrew's "Firebird"
Some of you may know that my primary area of research during my Masters degree was modern elegy, focusing particularly on how poets deal with events of multiple deaths in a mass media age. However, my interest in the poetry of loss does not end there, and much of my own creative writing is about loss of some kind or another. Moira Andrew's collection "Firebird" explores one woman's experience of loss and life. Each of the poems are self-contained vignettes, acting as windows into the poet's memories. Her strength lies in creating tangible moments with her descriptive language. We can almost taste her husband's tomatoey soup, experience the illicit thrill of a fleeting afternoon with a lover, and feel her mother's bitterness towards her skirt-chasing husband. Here is a poet driven by the need to catch these moments of grey, these in-between-times that often elude the poet. She writes of poems that 'store their secrets in changing weather' ('Camouflage', 64), yet I think she succeeds in capturing these moments, fleeting though they may be. She is obsessed with the changing seasons, and the imagery of nature is prominent in these poems. Andrew is desperately afraid of 'the very threat/of autumn' ('Rowan Tree, St Fagans', 15), as though it heralds a shift she does not want to look to. "Firebird" explores these shifts, and Andrew writes candidly about what it's like to lose a loved one. The one constant of the collection is the presence of her husband, who visits her in dreams, or in the shifting seasons. There is a bittersweet comfort from these poems, and while the reader can feel the intensity of the poet's pain, there is a comfort gained through the act of remembering. Indeed, perhaps the most distressing poem of the entire collection is its concluding one, where her dead husband finally seems to be leaving her and he is 'Gone, without a trace.' (75) Here, we realise, as she does, that no amount of writing will bring him back. Look out for an interview with Moira on the Cyprus Well website this April.